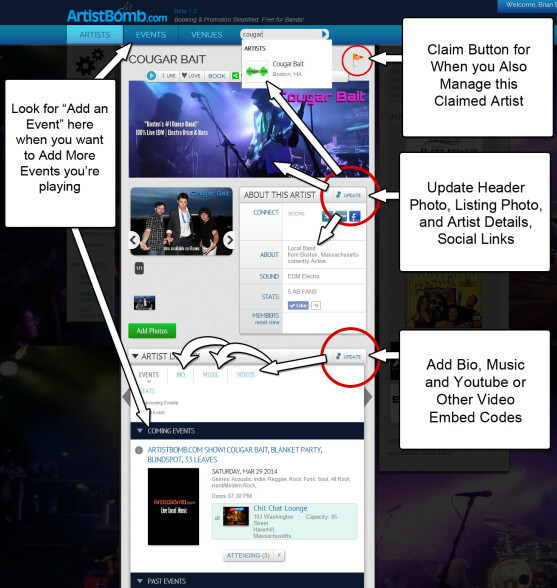 There are only 2 buttons to make changes to your artist listing, as pictured. To add events, click “Add an Event” under the Events dropdown. If you log in, you’ll see these buttons on any artist you’ve claimed and been approved. Any unclaimed artist has the update button in the About this Artist box, this is the “wiki” aspect of the site.